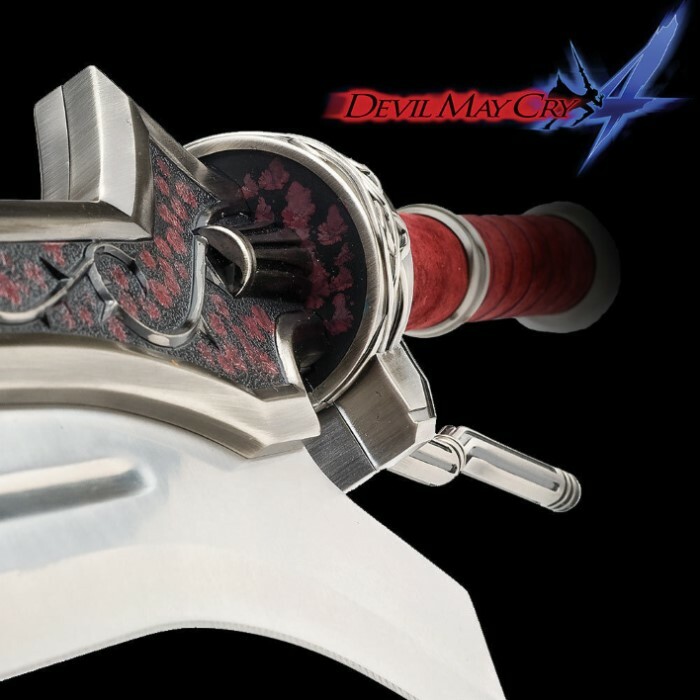 Absolutely stunning quality replica of Nero's sword from Devil May Cry 4! Now you, too, can battle demons with this massive two-handed sword. Created by Fortuna's Order of the Sword while planning an attack, this weapon was presented to Nero because of his overwhelming skills in battle. This authentic replica sword used in the video game stretches a massive 42 inches overall and offers a 31 3/4-inch stainless steel blade (false-edged). The genuine leather wrapped grip is surrounded by solid metal handle parts. The grip will feel great on your palms while you're showing off this beast of a sword. 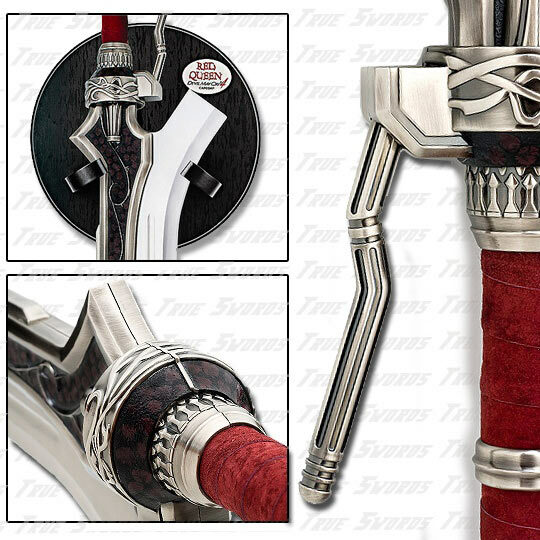 Each sword is individually serial-numbered and includes a custom display plaque and certificate of authenticity. The sword is fantastic!! I just got the sword today,it feel very heavy. The detailed on the sword is outstanding. But one problem that i have is that the sword's wall hanger made out of very cheap material. my hanger broke when i try to attach the parts in... but other than that, the sword is 6/5! recommended. Amazing sword. It's more expensive than most swords on here, but having received it, I would pay double. It weighs about ten pounds so it's pretty solid stuff. Replica worthy details and a nice display stand included. This sword has a "presence" that the photo can't convey. Buy it! It's worth every penny! The sword is exactly like it is on the video game. The only downfall I consider at least is that its quite thinner than I would've liked. The width isn't nearly as real as It could be but it is still a marvelous work of art.